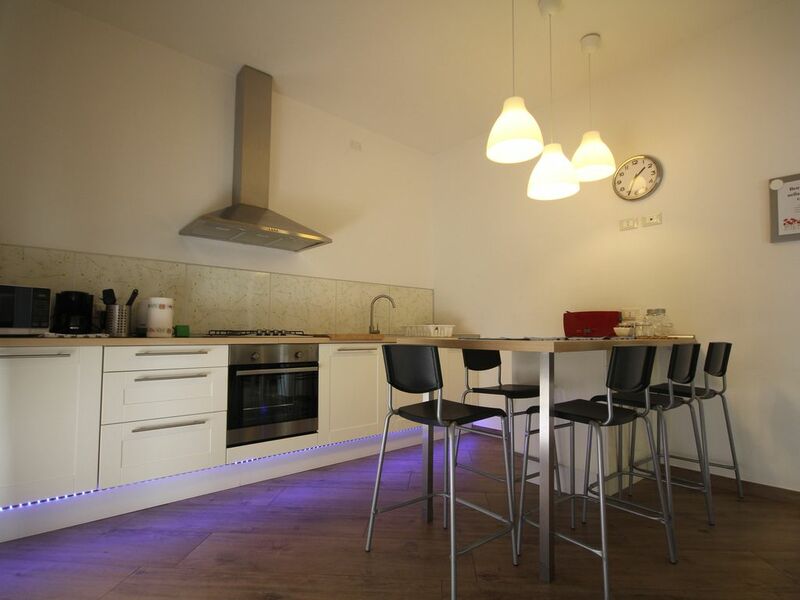 The apartment is really large, beautiful and easy to the most important places of Riccione. Every morning, the 136 bathing establishments offer the spectacle of a clean orderly beach, 41 lifeguards take care of tourists’ safety, in the shade of approximately 3,500 beach umbrellas and tents and every guest experiences the dream of a long awaited gratifying holiday. Then there are parties, areas dedicated to sports, areas for children and everything else one’s imagination dreams of and reality confirms. Not an ordinary: but Riccione Beach. A large modern apartment, very comfortable, on a quiet street but easy to get to shops, beaches, restaurants. We had a fantastic stay!! Riccione 6583912 abbiamo passato una vacanza indimenticabile appartamento molto gradevole e ben accessoriato. I proprietari sono molto disponibili e cordiali, sicuramente da ritornare. Grazie mille potrei dire la stessa cosa per i nostri ospiti ...assolutamente raccomandabili ! Abbiamo soggiornato in questa splendida casa con amici. Ci siamo trovati molto bene, in quanto la casa si trova in un posto tranquillo ma a pochi passi dal centro e dal mare. L'appartamento è dotato di ogni confort, pulito, ben arredato e molto spazioso, meglio di casa propria. I proprietari sono persone disponibili e sempre molto cortesi. Consiglierei questa casa senz'altro a tutti. Sono rimasta piacevolmente colpita dall'appartamento, tutto corrisponde perfettamente a quella che è la descrizione, anche meglio! L'appartamento è infatti corredato di tutto..perfino le spezie!!! We will help you to get the apartment sending you a map before your arrival. The airport is 5 km and train station is really near, only 0,5 km. We will give you a lot of tips in apartment...for example..Many people are unaware that besides the sparkling life on the coast there is another dimension to Riccione: the splendid nearby countryside. Just a very short distance away you can find breathtaking scenery and fascinating castles and fortresses rich in history, where the epic deeds of the ancient Malatesta lords still live on. Riccione is rightly called “a town for children” because it offers services and high-quality hospitality built expressly for its youngest guests. An amazing adventure in Riccione begins on the beach: a calm and safe sea, many kinds of services and facilities such as bathing-huts, beach umbrellas, a daily entertainment, fun and sports activities, games and toys, and baby sitter services make your children’s stay special and unique. And, last but not the least, don’t forget to visit the most important theme parks and fun parks like Aquafun, Mirabilandia, Italia in miniature, Oltremare, and so on, that are in Riccione and in the immediate vicinity. Riccione is really famous for it.